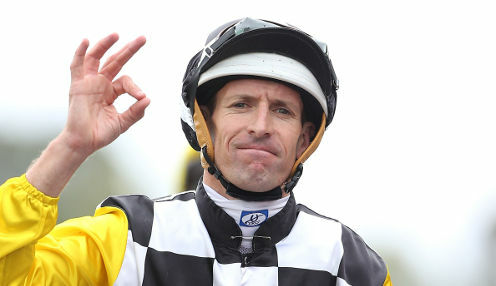 Champion jockey Hugh Bowman rose to the occasion once again when guiding Furore to victory in the Hong Kong Derby (2000m) on Sunday. The Australian picked up his second Derby at Sha Tin as the son of Champion Pierro defeated the hot favourite Waikuku by one-and-a-quarter lengths, while Sunny Speed was a nose away in third place. "I didn't disappoint him. The other day I rode a negative race from a wide draw (the Classic Cup) and it didn't go well so I changed tactics today," Bowman, who previously won the race aboard Werther, told the Hong Kong Jockey Club. "I'm just so pleased for the team. Although Furore drew poorly, I was confident he could do the job if I could get him in the right position. "I had the stablemate (Mission Tycoon), the likely leader, drawn next to me (11). I thought I could at least go with him to start with and see where we ended up. I was able to get a lovely run three pairs back." Furore was trained by Kris Lees and finished sixth behind Levendi in the ATC Derby at his last start in Australia but is now in the more than capable hands of Frankie Lor. Lor said he will now aim Furore towards the QEII Cup over 2000m at Sha Tin on 28th April, although he does have options and has yet to make a firm decision. "I think I will enter for the QEII Cup because there's plenty of time to that race next month but I will probably enter for the Champions Mile as well and then decide later," Lor said. Meanwhile, Dubious is 20/1 to win the Golden Slipper.